Meet Bead Box. A box of pure goodies every month. Cancel anytime. There’s a new way to get into beading, and it’s only a fiver a month. 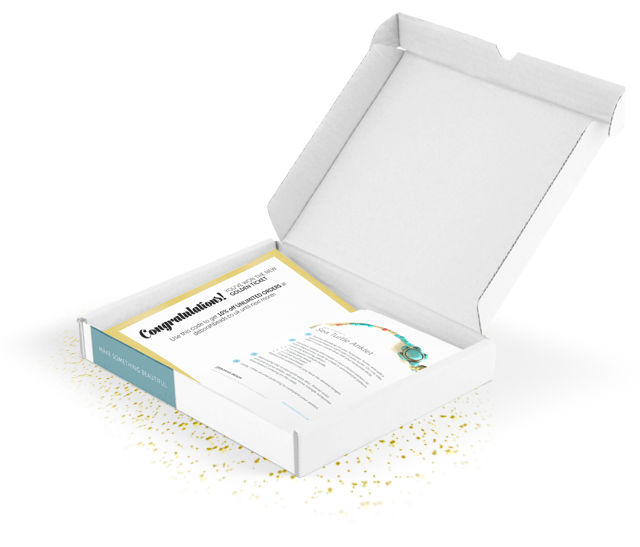 Sign up to the Kits Box and get a full kit each month, complete with written instructions and all the materials you’ll need. Get a fabulous stash of beads, findings, charms and more hand-picked and delivered to your door every month. There’s a new theme every month so you get something different for your collection every time. That’s right, shipping is included in the £5/month you pay. No strings attached! And international customers don’t pay any more than the standard rate. Every month one lucky winner chosen at random gets a Golden Ticket in their Bead Box, giving them 10% off everything they order from us all month! Get access to our exclusive Bead Boxers Facebook group. 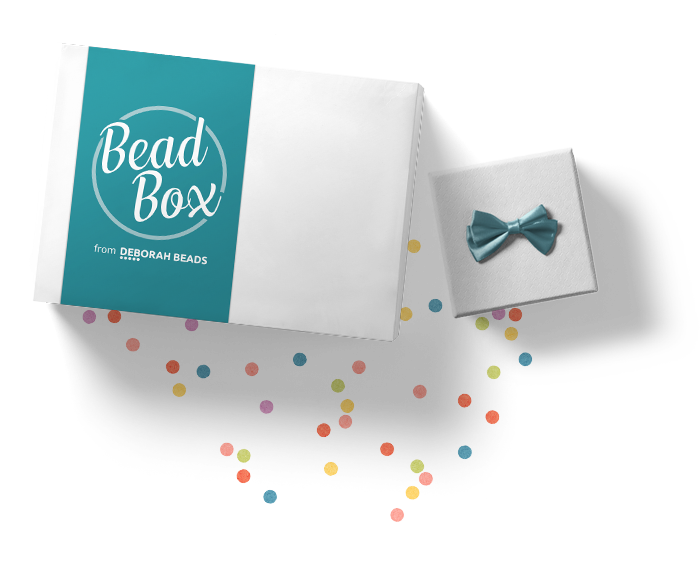 Find inspiration for your next make and ask beading questions to other Bead Boxers and the Deborah Beads team. Inside every Bead Box Junior, you will find a great selection of bright, fun (and not too fiddly) beads and findings, as well as a project complete with written instructions. 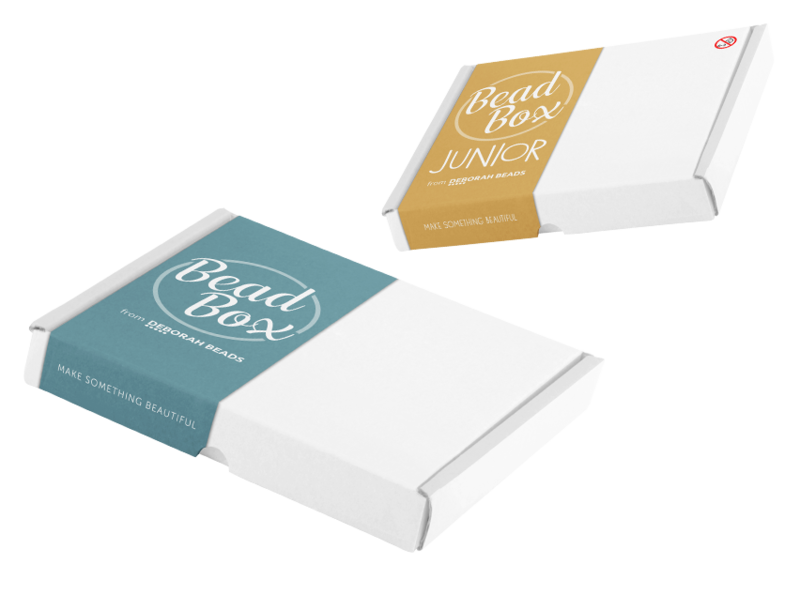 The Bead Box Junior is a great way to get your kids expressing their creative side and getting the next generation of beaders to Make Something Beautiful. 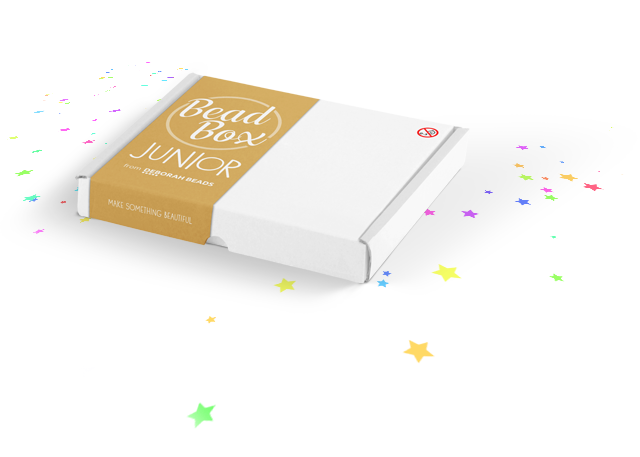 The Bead Box Junior is most suitable for children aged 8 and up. Younger children can join in the fun with adult supervision. You can send all of our Bead Boxes to a different address as a gift. Why not buy someone a 6-month or 12-month subscription? It’s a gift they’ll definitely thank you for. 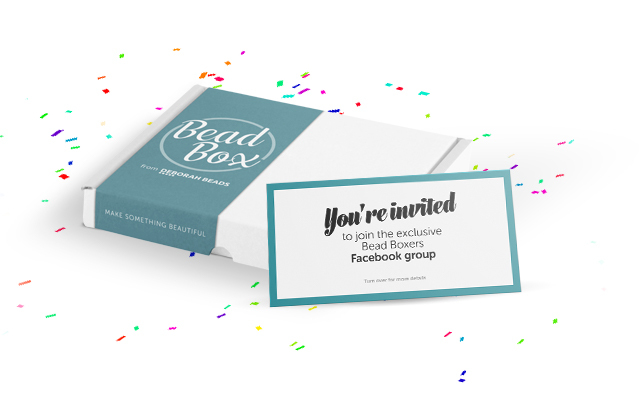 Oh, and there’s no extra cost for sending Bead Box as a gift. Images not representative of box contents. Golden Ticket is non-transferrable and has no monetary value. Membership of Facebook group subject to conditions and rules.